Dutch anti-piracy group BREIN has convinced 75 vendors of copyright-infringing IPTV and VOD services to halt their sales this year. All targets agreed to pay settlements and other costs, totaling roughly 300,000 euros. While BREIN's efforts are mostly directed at online sellers, the group agreed to provide training to local police to detect infringing devices in brick-and-mortar stores. In recent years many pirates have moved from downloading to streaming and, as a result, anti-piracy groups have amended their strategies. Backed by the major film studios, Dutch anti-piracy outfit BREIN has been one of the frontrunners in the area. The organization booked a promiment victory against Filmspeler last year when the European Court of Justice ruled that it’s illegal to sell devices that are pre-configured to access copyright-infringing content. Paired with the earlier GS Media ruling, which held that companies with a for-profit motive can’t knowingly link to copyright-infringing material, this provides a powerful enforcement tool. With both decisions in hand, BREIN has contacted dozens of vendors that sell unauthorized services, urging them to stop. This has been rather successful. This year alone, 75 sellers of IPTV and VOD subscriptions have settled their claims, resulting in settlements, penalties, and other costs totaling roughly 300,000 euros. BREIN director Tim Kuik informs TorrentFreak that there are also a handful of pending cases where vendors have yet to sign a cease and desist order or agree to pay a settlement. If these efforts fail, these will be taken to court. This legal threat is not a bluff. BREIN has already won civil verdicts against two vendors, Moviestreamer and Leaper, which were both ordered to shut down. The anti-piracy group generally approaches online vendors but brick-and-mortar stores are also at risk. 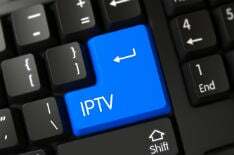 Last month, the police in The Hague seized a dozen IPTV boxes that were sold together with an IPTV subscription, for example. The police took this action on their own initiative and BREIN wasn’t involved directly. However, the group is working with police to provide training on collecting infringement related evidence. “BREIN is agreeing with police to provide training to detect and secure evidence of infringing trade by offline stores,” Kuik tells TorrentFreak. Following the GS Media and Filmspeler verdicts, BREIN has tracked down 275 vendors of illegal streaming boxes. Roughly 50 of these stopped their activities before the anti-piracy group reached out. “It is still a sensible idea to stop before you get caught because the owed amounts can increase quite a bit,” Kuik notes.